Studied Criminal Justice Administration at College of San Mateo, San Mateo, CA and San Jose State University, San Jose, CA. In 1980, Doreen Calhoun began working as a clerk at the Walnut Creek Court location of the Contra Costa Superior Court. She also served in the Pittsburgh, Concord, and Martinez Court locations. Beginning in the Traffic Unit, Doreen was steadily promoted to lead clerk and various management positions over her 29 years of service. 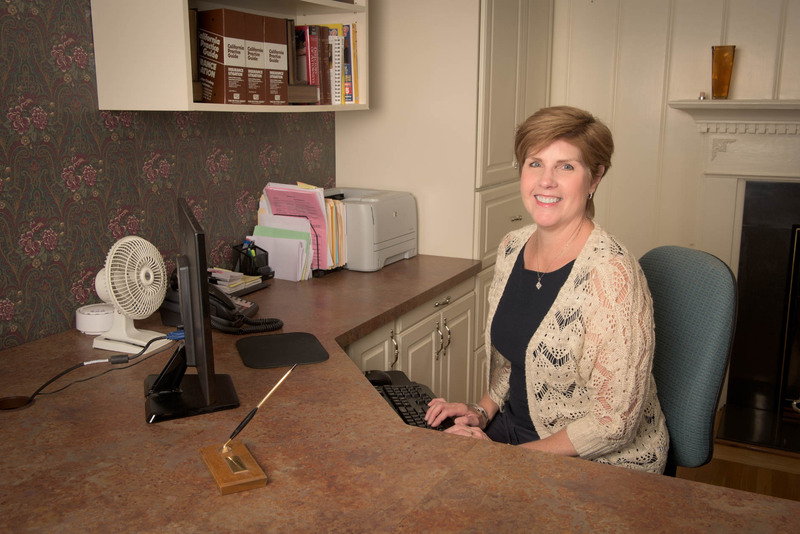 Doreen retired in 2010 and in January 2013 began working on a part-time basis for Hobin & Hobin LLP as a valued office assistant with over three decades of legal experience at her back. I have lived in Antioch for over 26 years with my family. I look forward to family vacations and spending time with our granddaughter, Sadie, and our dog, Mick. I enjoy working with our clients and the entire staff at Hobin & Hobin LLP. The teamwork and commitment of the staff members, along with Richard and Taylor’s high level of professionalism and care for their clients, is key to the success of this office. I am proud to be a part of this winning team!